The Medical Centre, situated in the Student Centre on the Bishopstown Campus is open Monday to Thursday from.. The Medical Centre is situated on the Bishopstown Campus. We are available to all of our full-time students including those in the CIT Cork School of Music, the CIT Crawford College of Art and Design and the National Maritime College of Ireland. We are open to students during term time and provide a comprehensive range of services suitable for students’ needs. Fee of €10 for doctor consultation. Payment by student ID card, cash no longer accepted. No fee if the student has current medical card. No fee for nursing consultations. Medical Certificates will be issued at the time of illness. Backdated certificates are not issued. Please allow 24hours notice for repeat prescriptions. 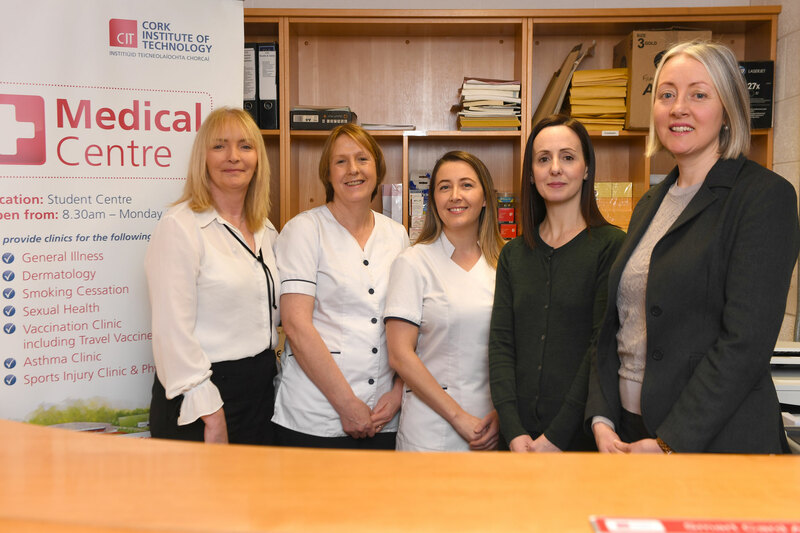 Students in CIT Cork School of Music and CIT Crawford College of Art & Design have the opportunity to avail of the Grand Parade Medical Practice in the City Centre. Fee of €10 CASH for doctor consultation. Tel: 021 2355784 for appointment. Student ID card must be presented at attendance. After hours a Family Doctor Service is provided by SouthDoc, Tel: 1850 335 999. This service operates at night and weekends. Students who do not have a medical card have to pay the appropriate fee for this service. Our doctors do not do house calls. Certain courses (e.g. Social Care and Biomedical Science) require vaccination. Please discuss with your course coordination who will advise how this can be arranged. There will be specific vaccination clinics provided for this service. Medical notes are confidential, are held in the medical centre and do not form part of the academic file.